Assembly of Western Catholic Bishops (AWCB) of Canada with the Holy Father, Pope Francis. Celebrating Divine Liturgy at the Altar of Saint Basil, upon the relics of Saint Josaphat. A number of programs and projects have been implemented. On-line materials, seminars, conferences and study days have been helpful for catechesis. We are currently moving towards creating a Sheptytsky Institute of Eastern Christian Studies satellite campus at Newman Theological College in Edmonton. “It is hoped that the satellite campus will provide much needed resources in helping the faithful come to know God better, followed by a desire to love God in prayer and in the liturgy, then to serve God in one’s neighbour and among the poor,” Bishop David wrote in his 2017 Quinquennial (ad limina) report to the Pope. Youth and young family programming that will cultivate their relationships with God and encourage participation in the life of the Church continues to be number one pastoral priority for the Eparchy of Edmonton. Recently, we made a commitment of a $100,000 each year over the next ten years to assisting parishes to put in place new initiatives in support of youth and young families. Examples of programs launched recently include the engagement of a youth coordinator for two parishes and the provision of several youth programs, particularly C.O.R.E. at the Eparchy’s Camp Oselia. To pass on the knowledge and commitment of this generation, the Eparchy of Edmonton will be helping grandparents tell their children and grandchildren why God has been and continues to be such an important part of their lives. This will be done using YouTube style videos sharing stories, sending Christmas/Easter cards, birthday/wedding anniversary cards, and so on. What is an ad limina visit? The Assembly of Western Catholic Bishops (AWCB) of Canada made their ad limina visit to Pope Francis during the week of March 27 to April 1 this year. The visits are normally completed every five years; however, a number of circumstances prevented this from happening for ten years. 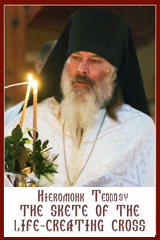 A total of 22 bishops attended, with four from Ukrainian Catholic eparchies in Western Canada: Ukrainian Catholic Eparchy of Edmonton’s Bishop David Motiuk, Bishop Ken Nowakowski of the Ukrainian Catholic Eparchy of New Westminster, Saskatoon Eparchy’s Bishop Bryan Bayda, and Metropolitan Lawrence Huculak of the Archeparchy of Winnpeg. These visits are an important way for the Pope to maintain a relationship with, and unity of, the bishops of particular Churches throughout the world. They give him the opportunity to deliberate on the successes and needs of the Churches and their bishops, and to provide support to them as shepherds of the faith and the faithful. “Veneration of Sts. 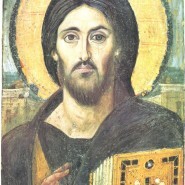 Peter and Paul and pilgrimages to their tombs have been practiced since early Christian times,” notes Article 28 of the Apostolic Constitution, Pastor Bonus, John Paul, Bishop, Servant of the Servants of God for an Everlasting Memory, June 1988, as expressions of the unity of the Church founded by Our Lord Jesus Christ on Peter the Rock. (O)n that occasion [each bishop presents]” to the Roman Pontiff a report on the state of their diocese [or eparchy]. These visits replicate the 15-day visit of Paul with Peter described in Galatians 1:18. Pope Francis presented each of the bishops with a special papal medallion and 7-8 rosaries. The Ukrainian Catholic Church is the largest Eastern Church in the world. The 2017 Canadian population is 6 million; from the last census those who identify themselves as having Ukrainian Catholic roots are 1.2 million. Perhaps the Catholic presence in Canada “will grow in the future” with immigration, resulting from the unfortunate struggles in the middle East, for example.